On Friday, Cesar Sayoc was arrested in Florida and charged with five federal crimes. He faces up to 48 years in prison in connection with at least 14 explosive devices sent to prominent Democratic politicians, donors, and CNN offices in New York. FBI Director Christopher Wray said, "These are not hoax devices." Still to be determined is whether those devices were viable. Sayoc was charged with the illegal mailing of explosives, threats against former presidents and others, and assaulting current and former federal officers. That's the good news. We all owe a debt of gratitude to law enforcement for solving this case so quickly. There's an aspect of the climate surrounding the manhunt for the pipe bombing perpetrator that perhaps represents yet another low in our political discourse. I refer to that of the speculating of this case, before his capture, as a potential "false flag" operation. Before there was a suspect, when almost all of those packages were addressed to prominent Democrats, the evidence suggested that the intent was to do harm to members of that party. But some suggested that that was a bit too easy. When none of the bombs exploded, maybe someone wanted us to stereotype Republicans while really seeking a sympathetic advantage for the Democrats, without causing physical injury. By definition, that would be a false flag operation. The mere mention of that possibility was greeted as heresy. But that wasn't what I found offensive. 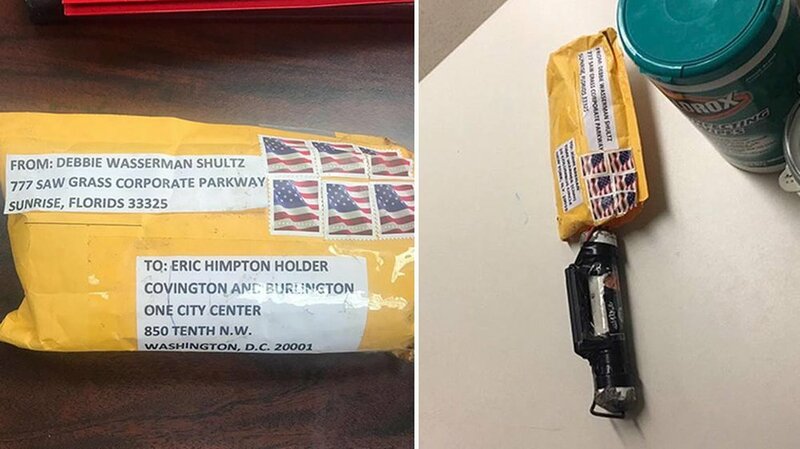 After all, the very idea that someone would send over a dozen packages through the mail with explosives is not itself logical, so there's really no such thing as an implausible explanation. What I found vile was the idea that some seemed to be hoping or rooting for a particular political outcome, namely, the party affiliation of the perpetrator. That's sad - that some would wish for a domestic terrorist to be playing for the other team. No "one guy with a screw loose" sums up an entire political party. And here's another important takeaway: Those of us who are privileged to have a platform need always remember that people like him are out there and that our words may cause their actions. Last night, the President missed a potential John McCain moment. You'll remember in 2008 when a woman at a town hall told Senator McCain she distrusted Senator Obama because he was a Muslim. McCain immediately shut her down. Too bad last night in Charlotte -- just hours after the arrest in the pipe bomb case -- the President didn't do likewise when the crowd began a familiar chant at his rally. That brings me to this week's survey question. Go to my website, and vote on the following question: Does President Trump have any obligation to rein in hostile chants at his rallies?